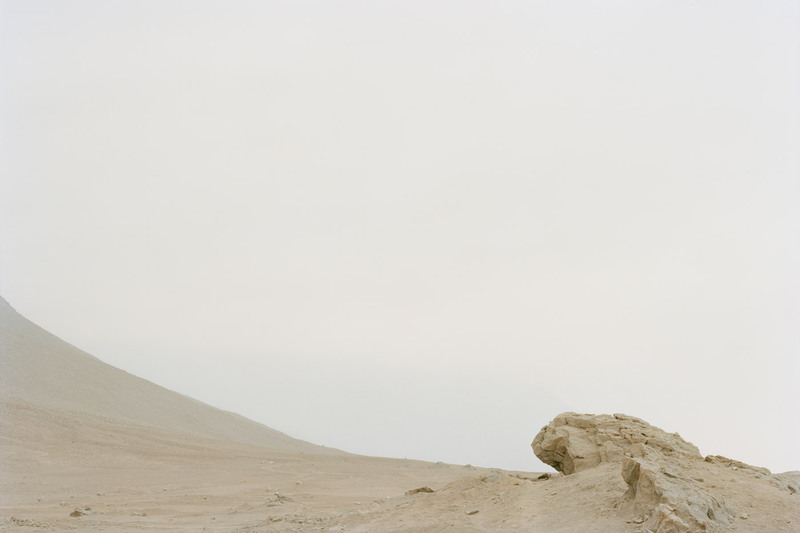 A series of landscape photographs exploring the 'camanchaca' in the Atacama Desert. The 'camanchaca' describes a unique meteorological condition consisting of a dense morning fog that makes it very difficult to see and never drops rain. 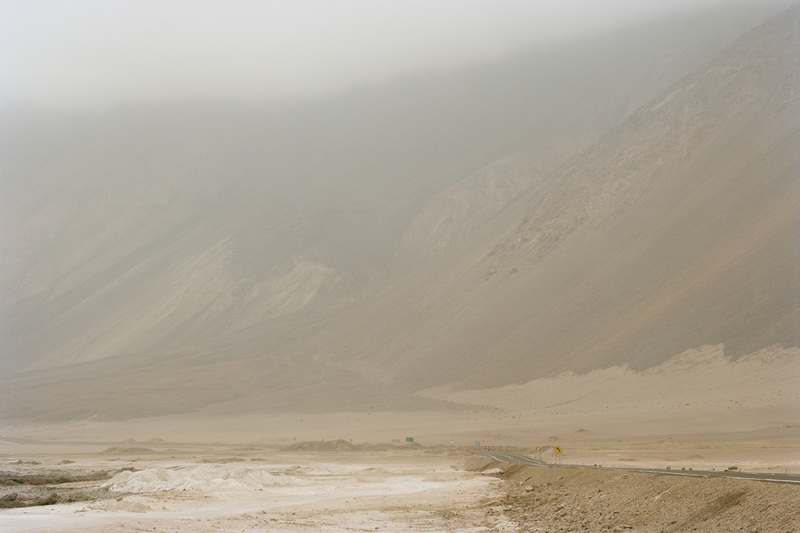 This phenomenon takes place along the coasts of the Atacama Desert, the driest place on earth. In Aymara cosmology, camanchaca is associated to the obscure, the hidden, the secret and unknown; a point of no return connected to danger and death. 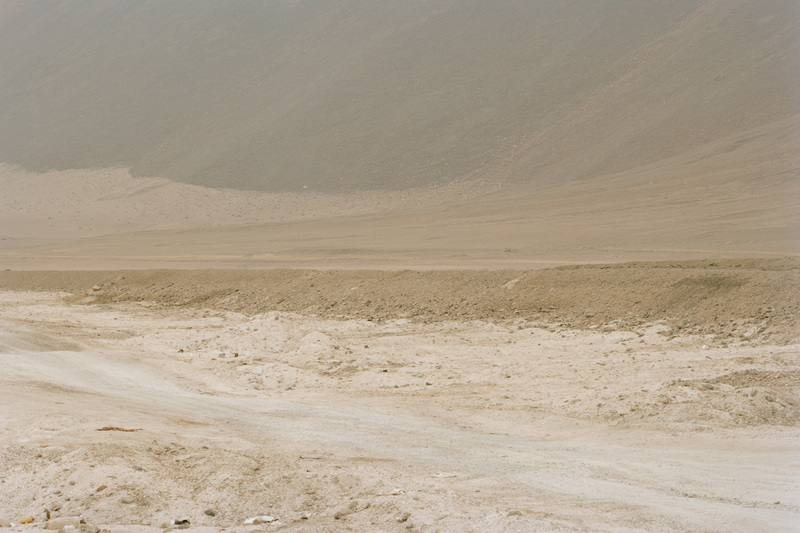 These uncertain landscapes conceal the world's largest known reserves of copper. Across them, hundreds of trucks, each carrying twenty-six tons of sulphuric acid, transit daily to fulfill the thirsty needs of the extractive industry. In the extraction process, sulphuric acid is used to filter copper from unwanted materials, generating by-products which have transformed this vast desert, most famous for its rich mineral deposits, into a wasteland of hidden toxic residues. Further, desertification means that it is expanding at the rapid speed of 0.4 kilometres per year, product of de-regulated land use and water appropriation. Im a Chilean born, London based visual artist and researcher. 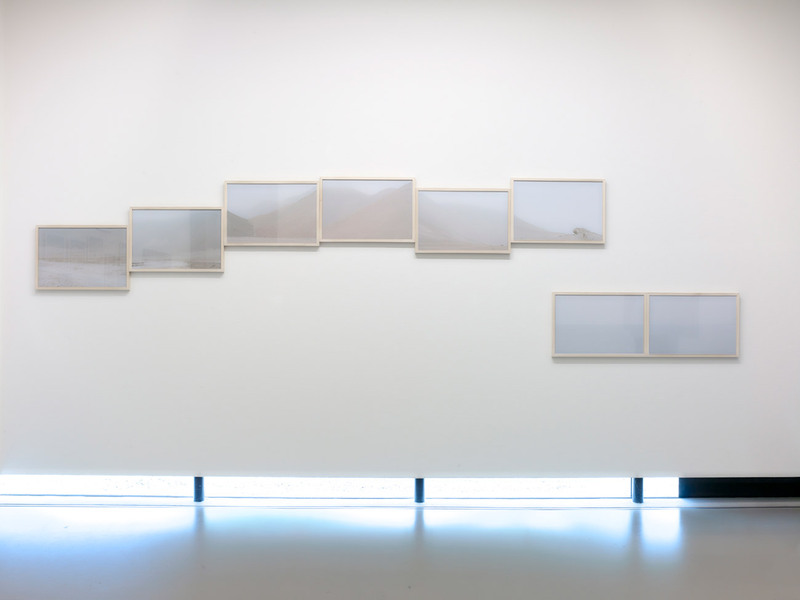 My practice explores and reflects on the geo-political power dynamics in mineral industries, geographies and historical narratives. My interconnected research projects involve extensive historical research, fieldwork, the collection of archival materials, new photographic documentation with large format cameras and diverse forms of mapping. My work develops using site-specific working methodologies.